Here’s your new cleansing cloth, but reinvented! 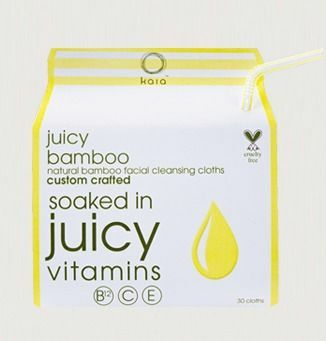 Our friends at Kaia Naturals shared their Juicy Bamboo Natural Facial Cleansing Cloths with us, and we’re impressed. Super soft, just-the-right-size cloths made from 100% bamboo grass (think, eco-friendly and biodegradable) and are loaded with vitamins, honey, and essential oils. Their light lemon scent is refreshing, and best of all, they work great at removing all your face makeup AND eye makeup – even your waterproof mascara! We are all about simplifying our life, and these little cloths act as cleanser, toner and eye makeup remover. Perfect for the on-the-go TrailblazerGirl, and we love the cute packaging as well!